Shopping for souvenirs on your journey can be a daunting task, but most major tourist hubs across the continent feature a wide-variety of unique gifts to bring back to your loved ones. If you’re concerned about finding something special, we’re here to help! Here’s a list of souvenirs for each one of our South Asian destinations, and the type of person who’d like them. Offering you easy to find, affordable and easily packed presents for everyone back home. Presenting, souvenirs of Southeast Asia: a little something for everyone. Pop-up cards are everywhere in Vietnam, particularly the streets of Hanoi’s Old Quarter. These cards are meticulously cut, feature lovely renditions of famous historical sites or cultural wonders (from the Temple of Literature, to charming cyclos) and are a great simple yet classic gift for folks back home. They usually cost about a dollar per card. Vietnam has a lovely affair with coffee. From high quality beans to their very own process of brewing, Vietnamese coffee is one of a kind. Rich, thick, chocolatey and slow, the filters are a must for any foodie curious about the flavours of this coastal nation. Found all over Vietnam, and generally single serve, these offer a great gift for the culinarily inclined. Also, just add ice and condensed milk to make a classic, ca phe sua da. Since its beginnings in the 1940s, propaganda posters were a unique feature of Vietnam’s national spirit. 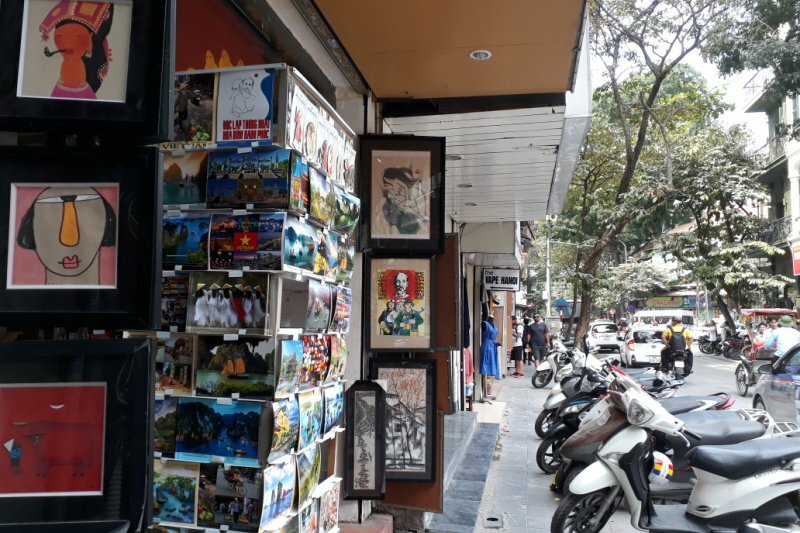 Reprints and copies of a selection of posters from the last 50 years are available in abundance to visitors in Hanoi and Ho Chi Minh City. At a reasonable cost you can find something special, from profiles of peace, anti-Nixon and US pieces or calls on the domestic front, these posters offer one-of-a-kind décor for the quirky friend or family member. Something small and easy to bring back for many folks is charming and intricately carved flower soap. Particularly Thai, these soaps are lovely, ornate and fragrant. They call on the details of Thai craftsmanship and are easy to carry on your trip back. You can find them in major cities, but Chang Mai’s night market has the best and most colourful selection. The tropical paradise that is southern Thailand is home to an abundance of goods any foodie would love, but the rum selection is the highest quality that you’ll find in Southeast Asia. Not only is it generally higher quality, it’s also available in most major sites. Brands like Chalong Bay are easily found in most supermarkets, Suvarnabhumi Airport in Bangkok, and on most of the major islands in the South. Sure, there are a multitude of wacky souvenirs all over Thailand. You can find just about anything here, especially in Bangkok. But, why not pick up something uniquely Thai, like a pair of boxing shorts. Muay Thai is a centuries old technical sport, that was used in warfare and entertainment, so picking some shorts of the’ Art of Eight Limbs’ would definitely stand out amongst your gifts. While less famous than in Thailand, silk weaving is a longstanding tradition of Cambodia. The industry has begun to blossom over the last ten years, employing more weavers and encouraging the study and discipline of this skill in rural areas. 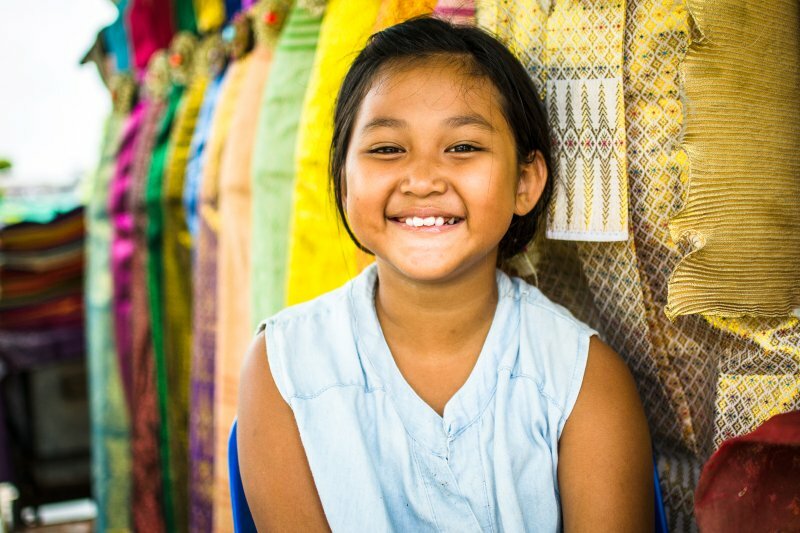 You can find scarves, table runners or pillow cases in Siem Reap or Battambang, however we urge you to purchase from artisanal shops rather than in markets. This assures that your gift was made locally and woven by hand, so seek out a socially responsible enterprise to buy from. Intense yet aromatic, Kampot pepper is some of the world’s finest in terms of quality and flavour. Completely organic, and top tier ingredient, it’s a must have kitchen staple with unique flare. Whether you pick up red, green or black, any foodie would be over the moon to add this spectacular item to their cupboard. Be sure to get it at the source, Kampot or Kep-sur-mer, but it’s also available in Phnom Penh. As the first controlled product that was ever produced in Cambodia, the real deal will come with a seal on the bag and should set you back approximately 8 USD for 100g. With waste always being a large issue across the continent, Cambodians are countering its effects with social enterprises investing in making products from recycled materials. Not only do these make great quirky gifts, they’re also supporting Cambodian families, by creating sustainable employment and income. Be sure to check out Friends n’ Stuff in Phnom Penh and Siem Reap for a newspaper notebook or paper bead necklace. 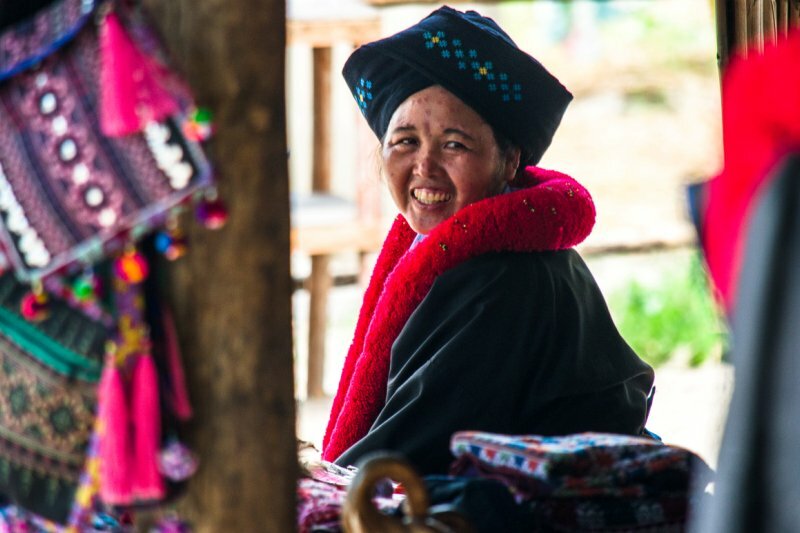 There are impressive weavings and silks all over the continent; however Laos has not only an excellent selection of materials, but a large variety of techniques. With many different ethnic communities, there’s an abundance of fabrics to choose from, whether you’re looking for a scarf, pillow casings or a blanket. Look for pieces that have a more worn look to them, or a more distinctive pattern if shopping at Luang Parabang’s night market. Without a doubt be sure to stop at Ock Pop Tok, a social enterprise supporting female artisans throughout the country. 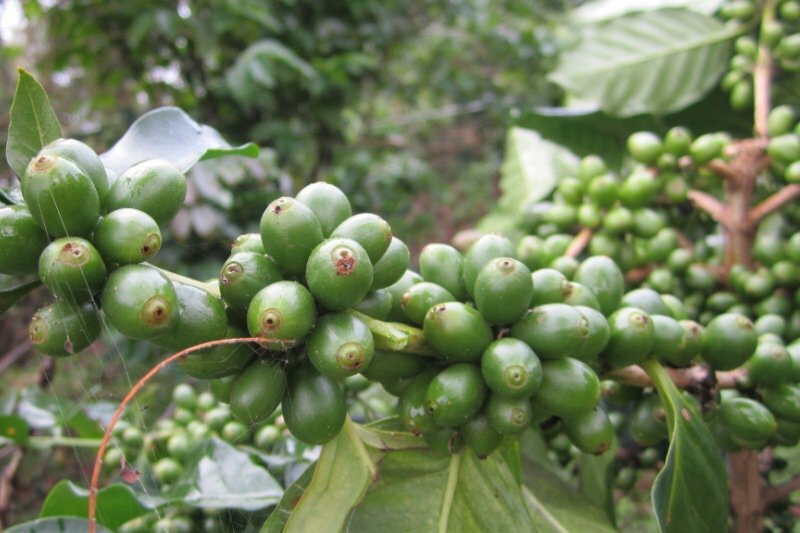 Laos has some of the best quality coffee in the world, although less famous than its neighbour to the east, it produces a wide selection of fine beans. Sip on some while you’re there and be sure to pick up a bag of Robusta or Arabica beans when departing Vientiane at Savannakhet airport’s duty free shop if you don’t have a chance to visit Paksong, Laos’ Coffee Capital. Most of these beans come from the temperate Bolaven plateau, a natural wonder of Laos just east of Pakse. This uniquely Laotian whiskey is made of rice fermented over charcoals and extremely popular throughout Laos. It’s easy to find in markets, particularly Luang Parabang, but there are also distillery villages, such as Ban Xanghai that are well worth a visit. While they vary from seller to seller, the best is lao khiaw, which has a light green colour, strong and smooth, however cobra variations are also available for your friend who likes an adventure. There are many great souvenirs to have of the plains of Bagan, but sand paintings stand out. A one-of-a-kind technique using sand to create a textured wall hanging, it’s a must souvenir for someone special back home. The best way to get it is by the temples of Bagan, where many friendly locals pedal their wares by chatting visitors and showing them hidden corners of the pagodas. Not only does it give you the opportunity to support local artisans, you can also have a special memory of the ancient plains. Laphet is Burmese tea from the northern mountains, and a culinary staple. Whether dried (lahpet chauk), wet & pickled (lahpet so) it makes for a one of a kind ingredient. Used for a sweet and comforting cup of tea or crunchy and scrumptious tea leaf salad, it can appeal to the classic or more adventurous gourmand. Be sure to pick some up from either a market stall or grocery store in Yangon or Mandalay for that friend who loves to discover unique ingredients. 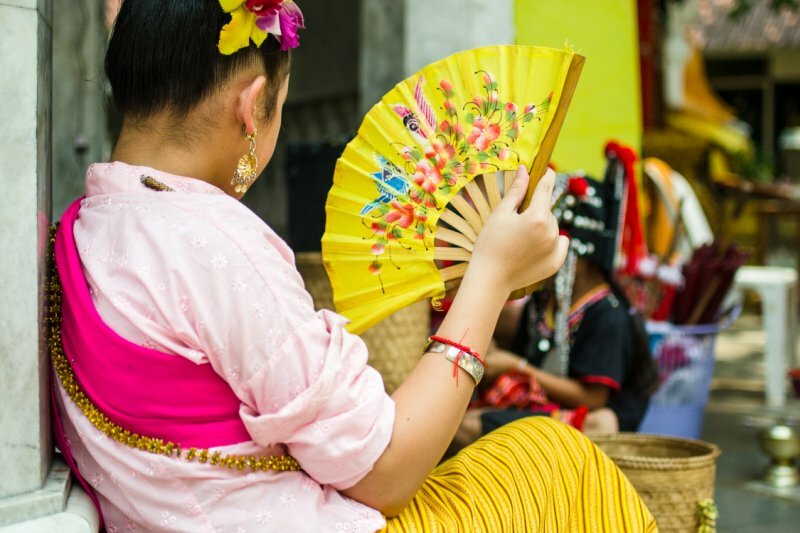 Myanmar still has strong ties to its cultural traditions, whether in terms of entertainment, dress or leisure. A simple gift that stands out is the traditional Thakana, a yellow paste made from tree bark that is used for cosmetic purposes throughout the country. Not only used to protect the face from the rays of the sun, it’s also painted on people of all ages in elaborate or simplistic designs for aesthetic beauty. You can find it at local markets throughout Myanmar, and it won’t set you back much either. Escaping on a whirlwind holiday in Southeast Asia? Take a look at some of our day tours, adding more wonder to your journey. Or, plan with us from the start to have a custom tailored itinerary that suits you. A Canadian lover of cuisine, history, culture and getting off the beaten track, Amanda currently enjoys hunting for noodles and cycling through the alleys of Hanoi.